Perfectly located Boutique Hotel in downtown Moose Jaw. Discover this Moose Jaw Railway Era icon reimagined. Original architecture and authentic elements paired with classical decor. A luxury boutique hotel with European style and charm. Providing a warm and refreshing welcome to Moose Jaw, our rooms are uniquely furnished rooms capture the feel of a private getaway in downtown Moose Jaw. 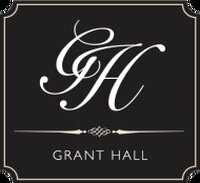 The Grant Hall features a dining room & lounge offering an excellent food and wine experience in a chic atmosphere. The dining room and lounge opens at 11:00 am daily. Dinner service begins at 5:00. Learn more on our Dining & Lounge page! Enjoy free high speed internet and other amenities in our 8 available meeting spaces (Schwinghamer Library, Ranchers Room, Parlour, East Terrace, Theatre, Safari Room, Beug Social Hall, Knight Hall). Host a meeting or event of many sizes, from a small intimate meeting of 8 people up to a larger event of 100 people.